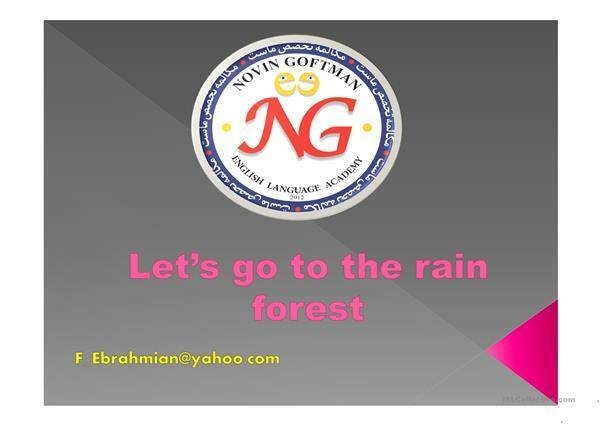 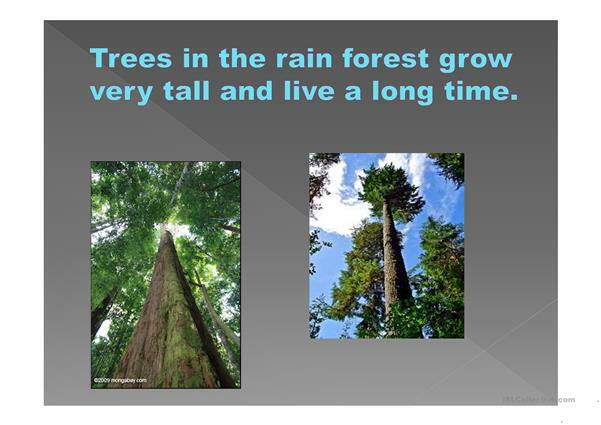 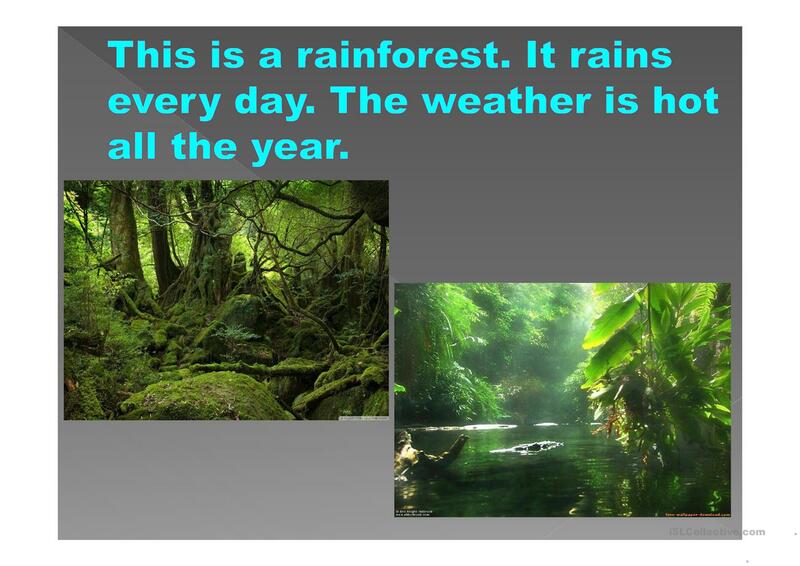 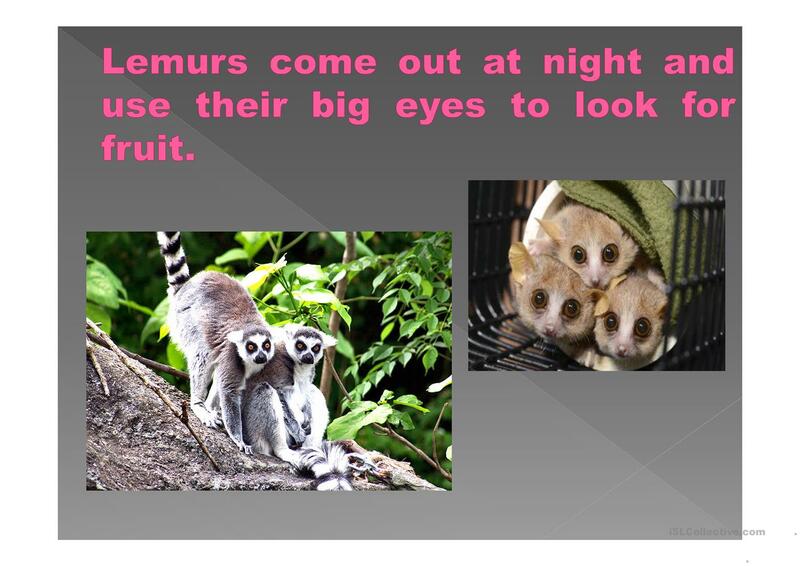 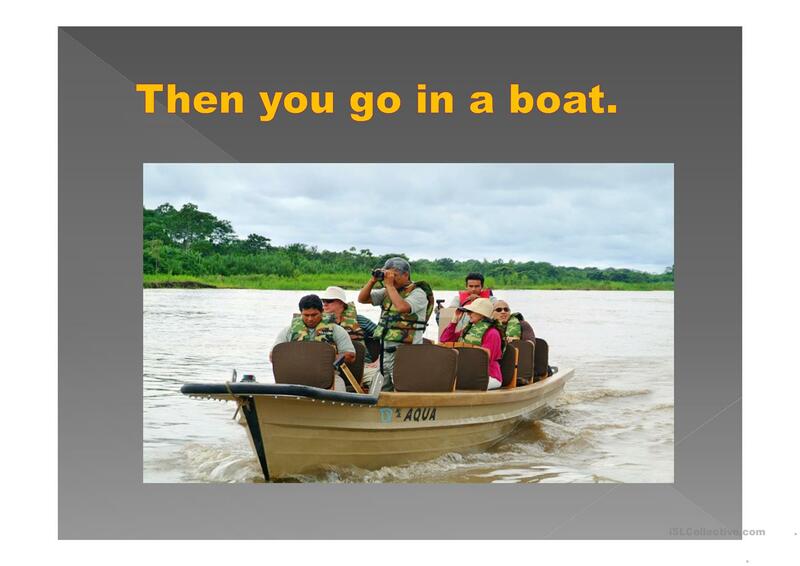 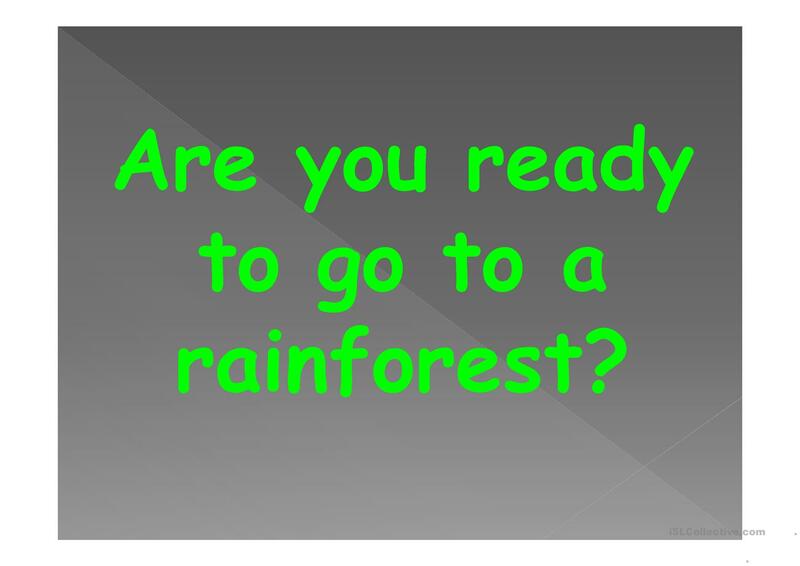 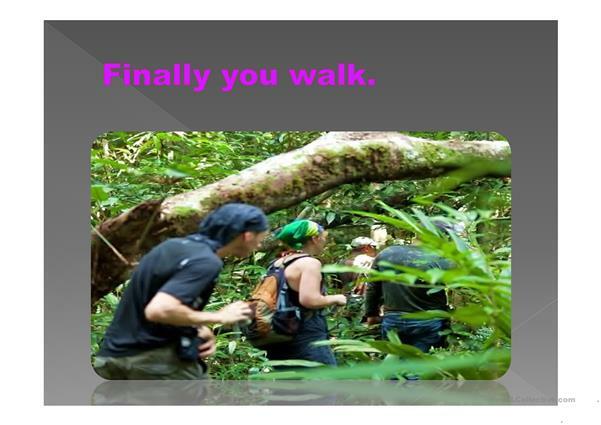 It's ppt about rain forests. It introduces the animals, insects, weather and the ways you can go there. 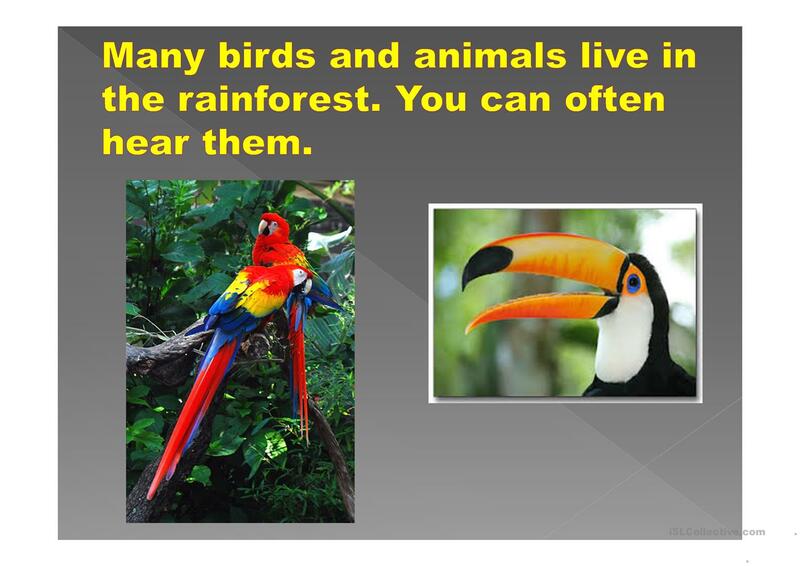 The present downloadable handout was created for high school students and elementary school students at Elementary (A1) and Pre-intermediate (A2) level. 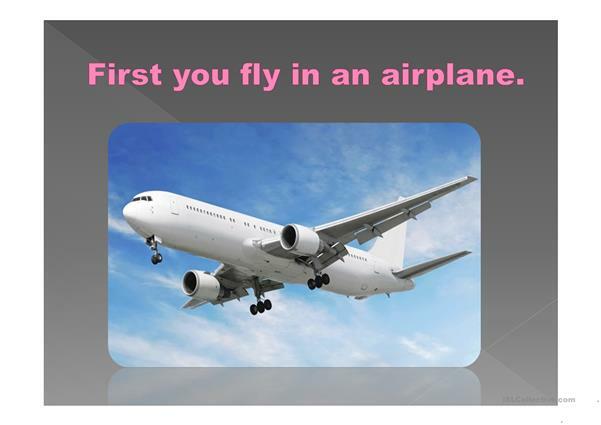 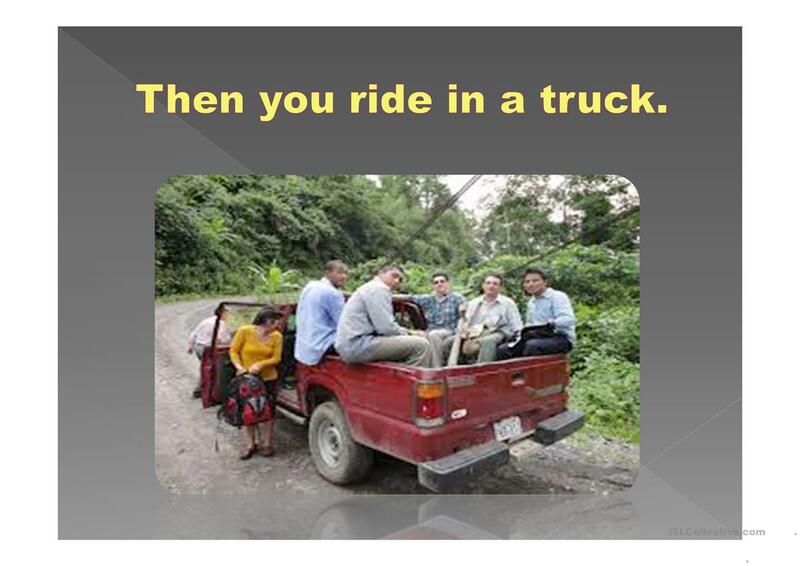 It can be used for working on your students' Speaking skills.